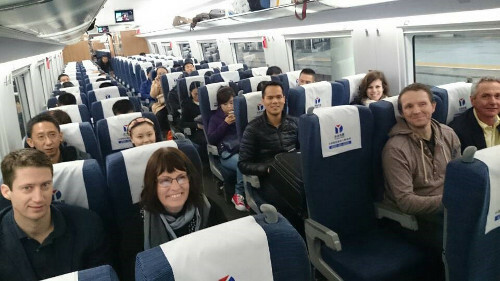 Five Australian journalists travelled by fast train through China’s northeast to explore the burgeoning economic relationship between China and Australia, along with social, cultural and other links. The study tour, held from 18 to 26 October, was part of the annual China Australia Journalist Exchange, organised by the All China Journalists Association and the Asia Pacific Journalism Centre, with support from the ANZ Banking Group. The visit allowed the group an opportunity to look at diverse sectors and issues, including progress and challenges for large and small business and trade, environmental management, diplomatic ties, news media restructuring, education and culture. The program began in Liaoning Province, at China’s northernmost warm water port city, Dalian, with scene-setting cultural visits exploring the province’s history of foreign occupation. Business visits included tours of the Australian beef importer Snowdragon Beef Co, a malt company and a locomotive manufacturer, providing insights into the workings of China’s state-owned enterprises and entrepreneurial businesses. From Dalian the group travelled by one of the newest links in the fast-train system to Shenyang, capital of Liaoning Province, where they met staff of Australia’s trade promotion organisation, Austrade, representatives of the provincial government, and staff and students at Liaoning University. The group continued by fast train to Beijing for meetings with the Beijing Daily Group, staff and students of Tsinghua University, and officials of China’s Ministry of Foreign Affairs. This last meeting coincided with the launch of the China-initiated Asia Infrastructure Investment Bank, providing timely news content for the group’s reports for Australian news media. The group also visit the Beijing Environment Exchange to learn about carbon trading, which was a highlight, according to McCarthy. The exchange program continues in 2015 with a visit by Chinese journalists to Australia. 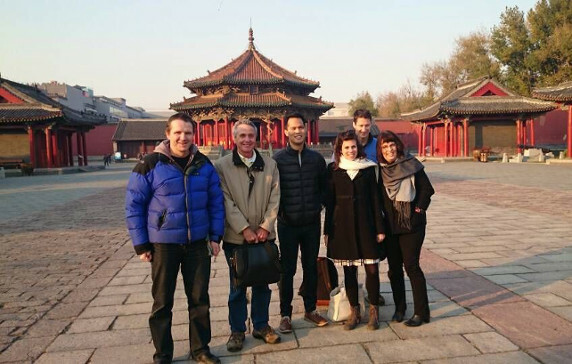 MAIN PHOTO: China Australia Journalist Exchange fellows visit Shenyang’s Manchurian Palace.